China's so-called third- and fourth-tier cities - those at county level - will be most targeted in the future by domestic enterprises, investment agencies and international companies, according to a report. 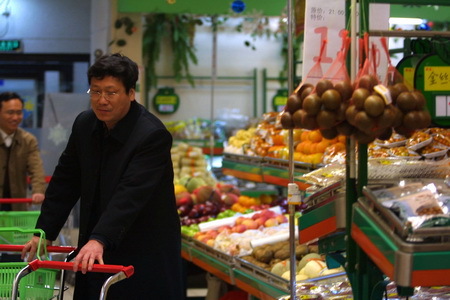 The survey, entitled Approaching Consumers in China's Emerging Cities, said that under the current situation of urbanization and modernization, consumption markets in the country's first- and second-tier cities, for example Beijing, Shanghai and Guangzhou, tend to be saturated and people's spending power would not be enough to support the country's economic growth. "The consumption potential of Chinese emerging markets in third- and fourth-tier cities cannot be ignored and there will be places where many brands and enterprises perform spectacularly," said Arthur Yu, CEO of Bates 141 China. There are more than 4,000 third- and fourth-tier cities in China. According to figures recently released by the National Bureau of Statistics, the retail sales of consumer goods at and below county level totaled 3.48 trillion yuan ($510 billion) in 2008 compared with 1.84 trillion yuan in 2004. To comprehend the size of the market outside major metropolises, it is worth considering that Yichun, a Chinese clothing brand hard to find in big cities, took 8 billion yuan in sales in 2008. Lenovo released computers targeted at rural markets that cost just 1,499 yuan. Ownership of the Nokia 1110 phone in China is reported to be about 200 million. Peng Gang, director of integration strategy at Bates 141 China, said the rules and principals of marketing and branding in third- and fourth-tier cities are very different from those in big cities. Xie Hongce, a 27-year-old father of twins living in Dengta, a county-level city in Liaoning province, spent 300 yuan buying a Nokia 1110 mobile phone at a small electronic appliance store and has used it for two years. His favorite MP3 player cost him about 300 yuan. "The area of Dengta nearly doubled in the past five years. Life has become far more convenient and we are able to buy nearly all the products we need in the commercial area," Xie said. "I usually choose products depending on the quality and after-services." Peng added: "People in smaller cities usually put quality, durability and after-services first when they make consumption decisions." In addition, they have far more time and their consumption decisions are made more prudently rather than impulsively, Peng said. He said they prefer to try out products or consider suggestions from their acquaintances before making a decision, rather than be influenced by advertisements. When companies make advertisements targeting consumers in these cities, they should avoid technical and alluring words. "Just tell them how the products can help them and how good and durable the products are."